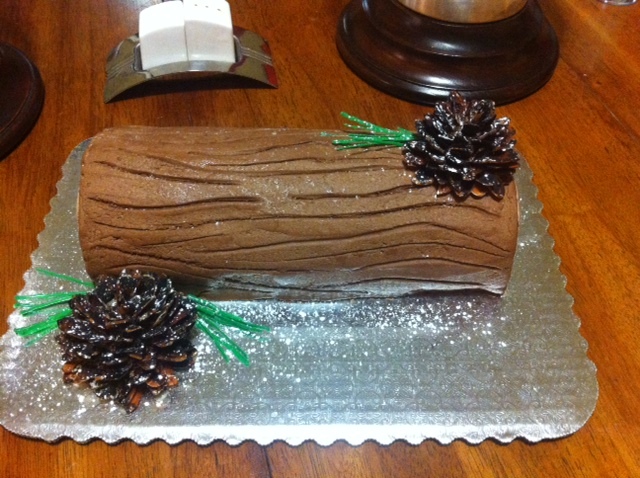 My favorite cake of the season was this Yule Log. I made several of them during this Christmas season. They are incredibly easy and very yummy. I especially like them because the light sponge cake is not too heavy after all of our holiday meal exploits. The pine cones are made from almonds and fondant and the pine needles are chocolate. The kids got a kick out of these. They love it when I make things that do not look edible. 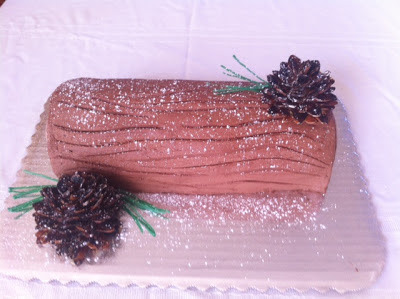 Next year I am going to make some meringue mushrooms and add a log on top to make it more traditional looking.